1) Saute garlic until golden brown, followed by the onion, tomato and ginger. 2) Add the pork and fish bagoong sauce. Mix well and saute until the pork turns into light brown. 3) Add the patani, sitaw and kalabasa, mix carefully then add the water. Simmer for 3-5 minutes. 4) Add the okra and simmer for another 2-4 minutes. 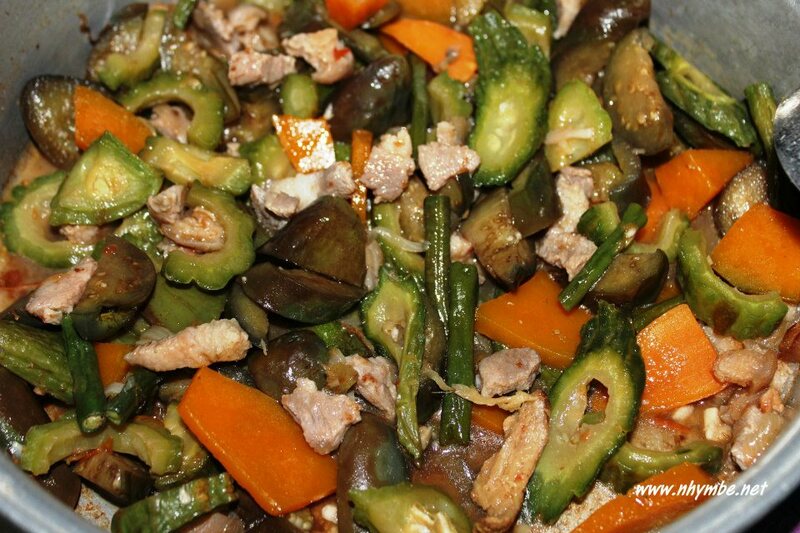 5) Add the ampalaya and eggplant, cover the pot and simmer for another 2-4 minutes. Mix carefully, taste it and add more fish bagoong sauce if desired. 6) Ready to serve with steamed rice. Serve it hot, enjoy! Bulanglang ito. 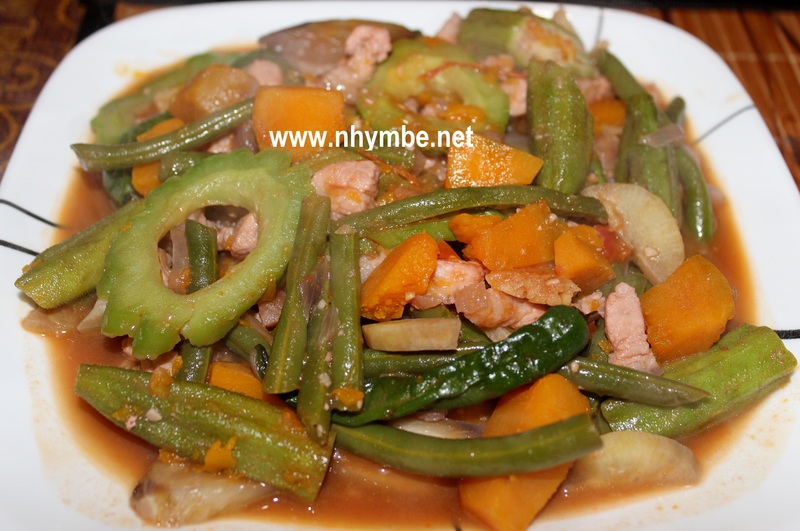 di pinakbet ilokano. And where is the siling haba?